Skytop Miscellaneous - Mysteries, Models, & More! Research and information courtesy of Bill Pressler, Kent OH. 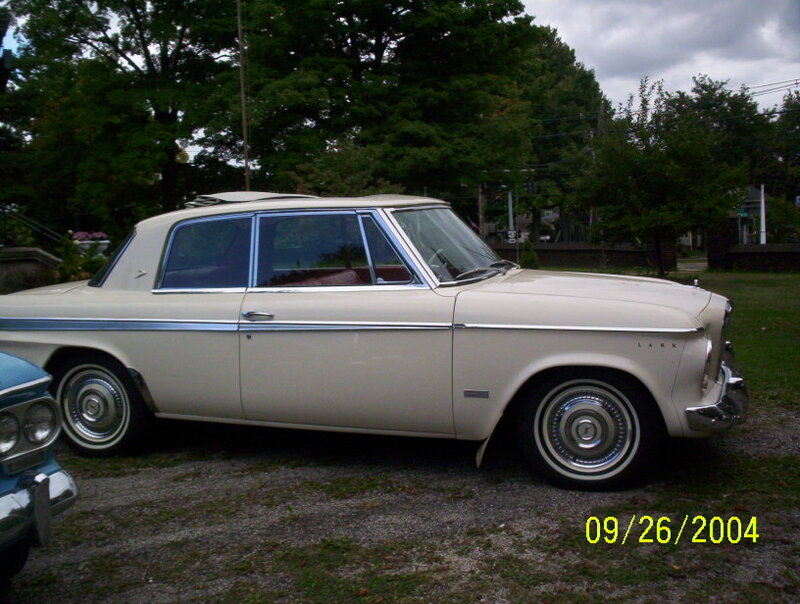 Avanti-powered Skytops…….two great options available on 1963 Studebaker Larks! But how many were actually produced? Through the diligent research of Bill Pressler, we can report the actual number of 1963 Avanti-powered Skytops, plus provide the serial numbers and equipment breakdown. 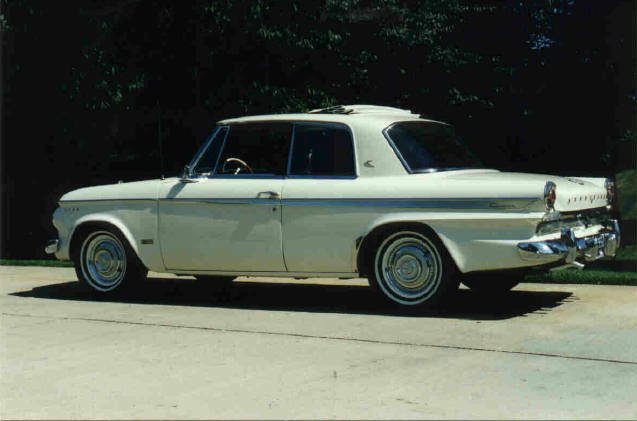 Bill performed the initial research at the ‘old’ Newman & Altman, where the Studebaker Production Orders were made available by Geoff Newman. 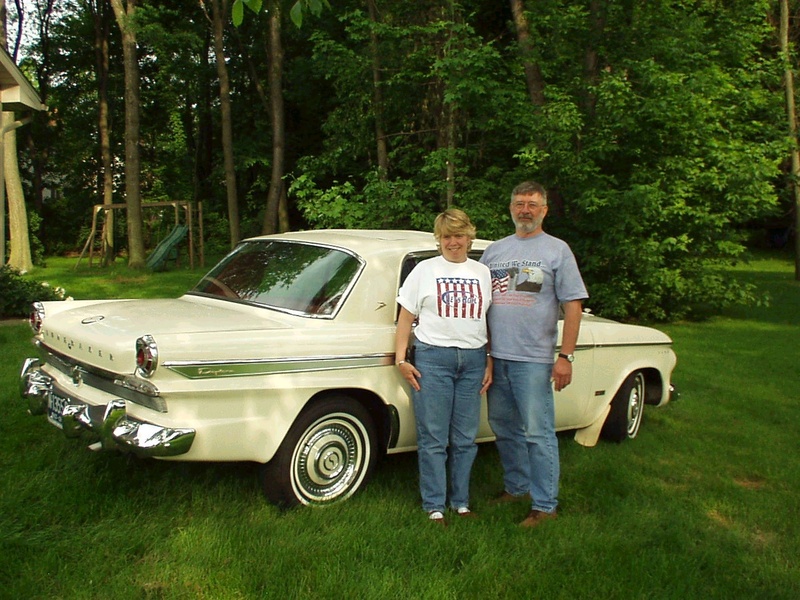 Additional research was done in 2008 at the Studebaker National Museum Archives. 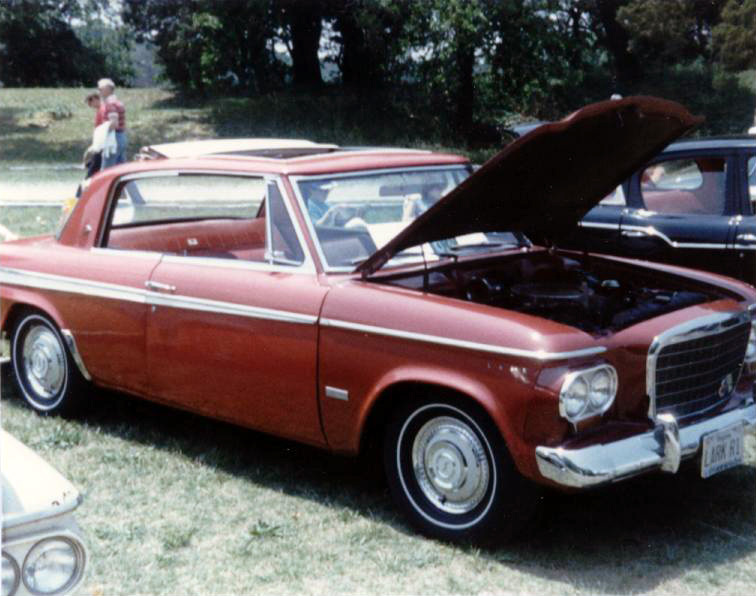 Bill’s research indicates that fourteen (14) Skytop-equipped cars were also Avanti-powered. A summary is provided below, and the breakdown of the serial numbers and equipment at the very bottom. A complete listing of the fourteen Avanti-powered Skytops. List is sorted by Serial Number, and includes the following information on each car: engine type (R1 or R2), body type, body color and Skytop color, transmission type, other options, and destination. Where known, the current or last known owner of the car is listed. Click on the small thumbnails after the descriptions to see pictures of each car (if available). See NOTES at bottom for abbreviations. 63V5224 -- R1 engine; Daytona Hardtop; Ermine White w/White Skytop; Red Vinyl trim with matching inserts; standard Flightomatic; Other Options: TT, PB, Tinted Glass (all windows), A/C; Destination: Moorhead MN; Serviced for Retail Delivery on 10/8/62; Retail Delivery at South Bend 10/62, first owner Peter Duginski, Moorhead, MN (currently owned by Gordon Hamilton, Victoria AUS) ......even more pictures HERE! * Three (3) of the fourteen (14) Avanti-powered Skytops were ordered by one dealer, L.S. Kerr Motors Inc, 3957 Mayfield Road, Cleveland Heights, Ohio. We now know, after Bill Pressler’s additional research in 2008, that only one of these three cars was actually shipped to L.S. Kerr Motors; the other two were re-routed to different dealers. ** According to David Spilski (formally of Newman & Altman, and now part of the 'new' SASCO), a 'South Bend' destination noted on a production order could mean either the car's final destination was South Bend, or the car was being placed in one of Studebaker's storage lots where dealers could visit and hand-select cars to buy and take home with them for retail sale. 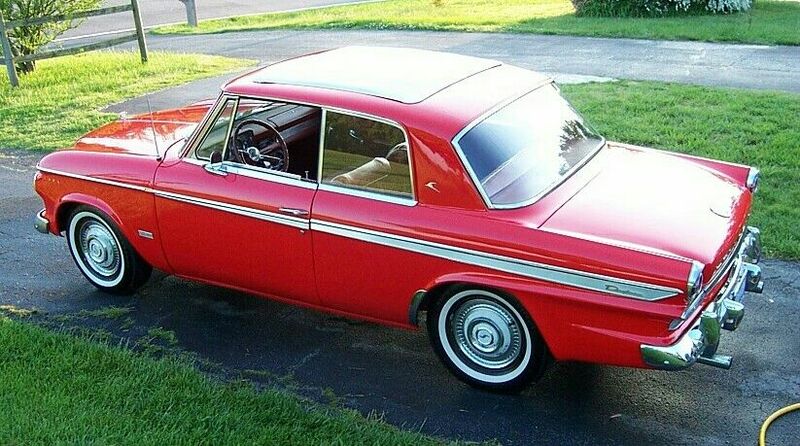 If anyone knows the whereabouts, or any of the history, of any of these cars that do not list a current owner, please let us know at webmaster@studebakerskytop.com !! During Bill Pressler's recent research at the Studebaker National Museum Archives, he utilized a number of different forms and resources to document the details of the fourteen Avanti-powered Skytops built in 1963. Several of the forms I had heard about but had never saw before. From information provided by both Bill Pressler and Richard Quinn, the following describes Production, Shipping, and Sales Documentation utilized by Studebaker in 1963. Any corrections and additional detail is welcomed. 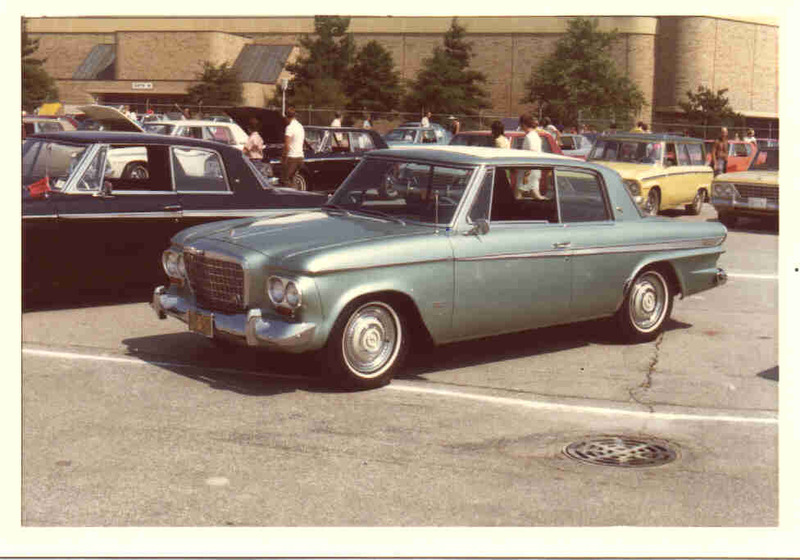 Two (2) different “Production Orders” were used – Studebaker Form W 703, and Form W 704. The two forms were almost identical, but were used for different purposes. The Passenger Car Production Order – Body Set (Studebaker Form number W 703) form was prepared by the Car Order Department and was the specification for the assembly of a specific car to fill a specific order (be it a dealer order, or a car built for 'inventory'). According to Studebaker historian Richard Quinn, “The form number W 703 copy was taped to the firewall after the body was painted in the body building. 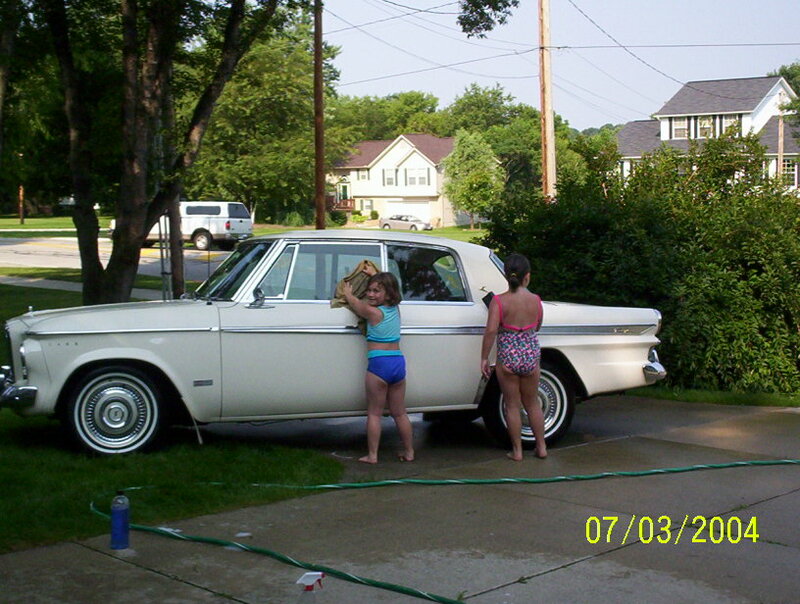 At that point it did not have a serial number on it since it was a "body only" with no chassis (i.e. no serial number). The body with the firewall copy (W 703) attached was transported by the overhead conveyor to the final assembly building. This copy had all of the necessary info to instruct the men in final assembly re options and accessories.” Form W 703 consisted of multiple sheets with carbon paper between them, but how many sheets and what each specific sheet was used for is not currently known. The “Description of Unit and Equipment” (i.e., the model, drivetrain specifics, exterior color, interior material type and color, optional equipment, and special instructions and/or handling if applicable), anticipated Date To Ship, order Date Written, the Sales Order Number, the Factory Order Number, Destination, and Zone Code was typed onto Form W 703 by the Car Order Department. A number of Studebaker owners have discovered an “INSTRUMENT PANEL COPY” of Form W 703 stuffed between the top of the inner cardboard glovebox and the underside of the dashpad. 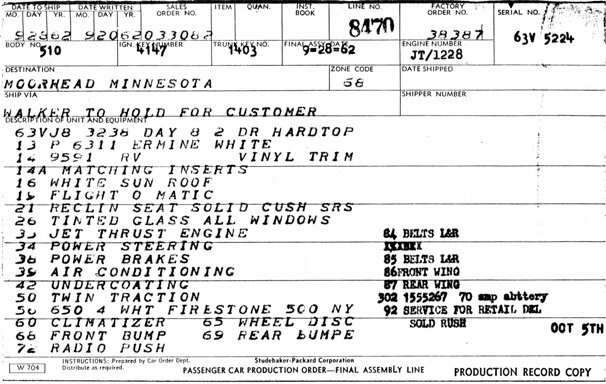 A scanned copy of an actual Instrument Panel Copy of Form W 703 is below, found in a 1964 Studebaker Commander owned by Paul & Michele Warta. Note that the Line Number, Serial Number, Body Number, Ignition & Trunk Key Number, Final Assembly Date, and Engine Number are not filled in since these were not available when Form W 703 was prepared. On Form W 704, the same information was typed on as on Form W 703; in fact, it is possible that the Car Order Department initially populated both forms at the same time. At some point the Line Number would have to be added Form W 704 prior to final assembly. Then, after the car was built, the additional information was filled in on Form W 704: the Serial Number, Body Number, Ignition & Trunk Key Number, Final Assembly Date, and Engine Number. The fields for Date Shipped and Shipper Number seem to have been used sporadically or not at all; note that this shipper information would have been recorded on the Drive-Away Shipper Form (see below) anyway. See the photocopy of the original PRODUCTION RECORD COPY for Gordon Hamilton’s ’63 Daytona R1 Skytop below. Copies of the PRODUCTION RECORD COPY for 1936 thru 1966 Studebakers are on-file in the Studebaker National Museum Archives, and copies are available from the Studebaker National Museum Store. 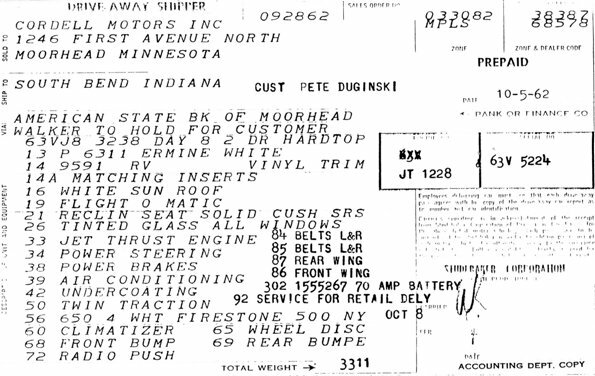 The Drive-Away Shipper (Studebaker Form W 670) contained the same Description of Unit and Equipment information as contained on Forms W703 and W 704. 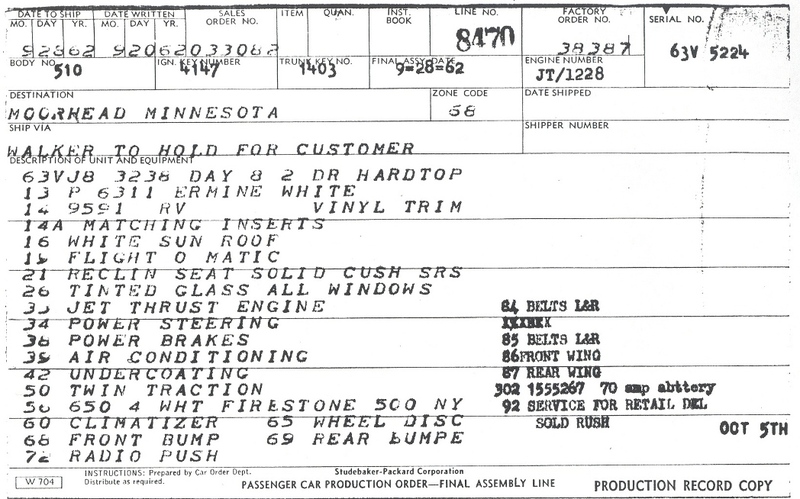 In addition, Form W 670 recorded the Sold To dealer name and address; the Date To Ship; the Sales Order Number; the Factory Order Number; the dealer’s Zone; the Zone & Dealer Code; the Bank Or Finance Company providing the financing of the dealer’s “floorplan”; the carrier’s name on the row marked Via; the Engine Number; the Serial Number; and the car’s Total Weight. 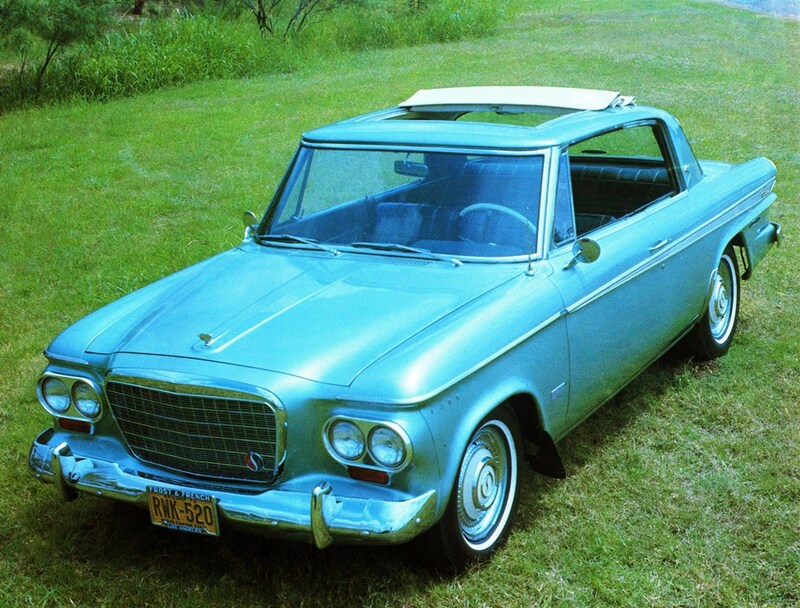 The Drive-Away Shipper forms are on-file in the Studebaker National Museum Archives. 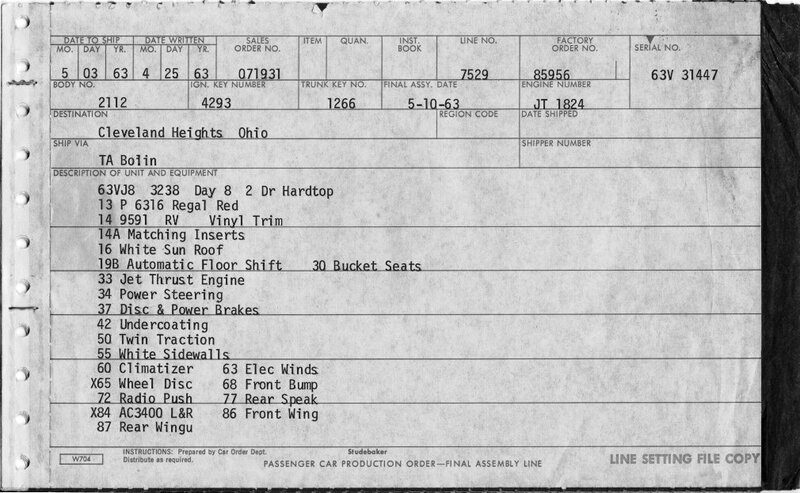 A photocopy of the original Drive-Away Shipper form for Bill Pressler’s 63 Daytona R1 serial 63V 5224 is reproduced below. 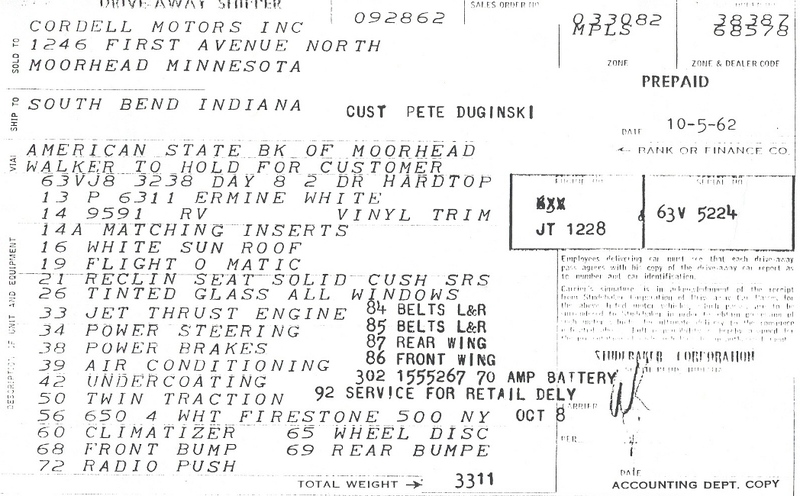 Note that on 63V 5224, the Ship To is listed as South Bend Indiana, since the car was serviced for retail delivery and picked up in South Bend by its first owner Pete Duginski. There were two types of Retail Sales Cards. The original-style cards record the original purchaser’s name and address, the selling dealer’s four-digit code, and the date of sale. 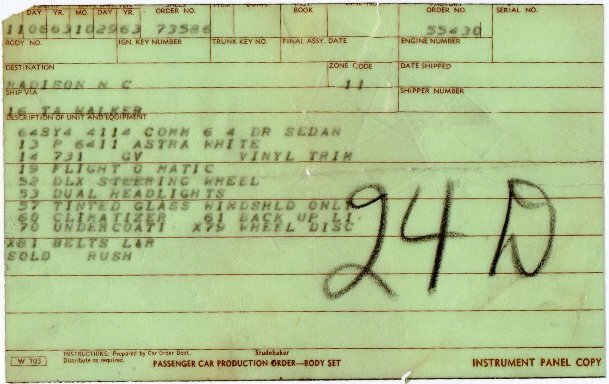 The original-style Retail Sales Cards are on file in the SNM archives, starting with the 1960 model year and are filed by serial number. A photocopy of an original (early) style Retail Sales Card for 63V 8357 is reproduced below. The later-style Retail Sales Card (Studebaker Form number B1039) includes the previous information plus the purchaser's occupation and trade-in, and the salesman's name and Social Security Number. 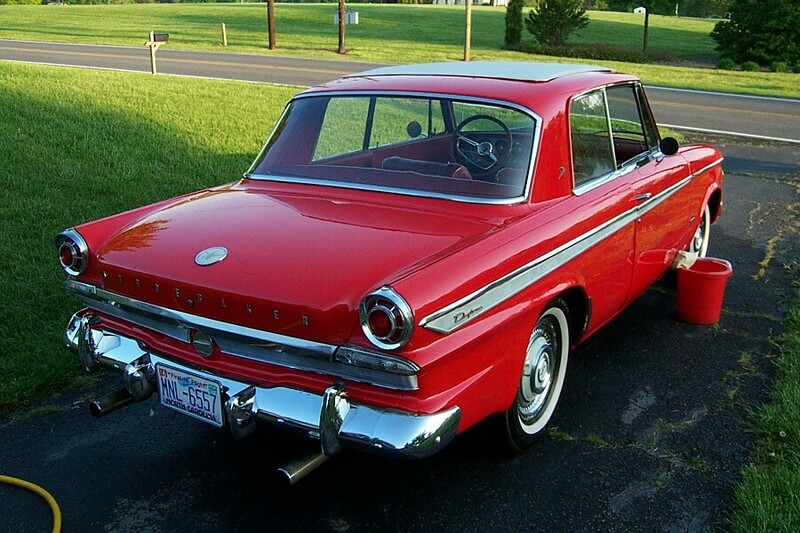 These also had fields that would indicate whether the car was sold to a retail buyer, placed in demo service, transferred to another Studebaker dealer, or repurchased by Studebaker, and whether the car was transferred from one Sales Zone to another. The later-style Retail Sales cards began to be filed in September 1963 by month, then dealer code number. These cards are also on file at the SNM archives. Note that the later cards did not replace the earlier-style cards but were used in conjunction with them. A photocopy of a later-style Retail Sales Card for 63V 31447 is reproduced below.